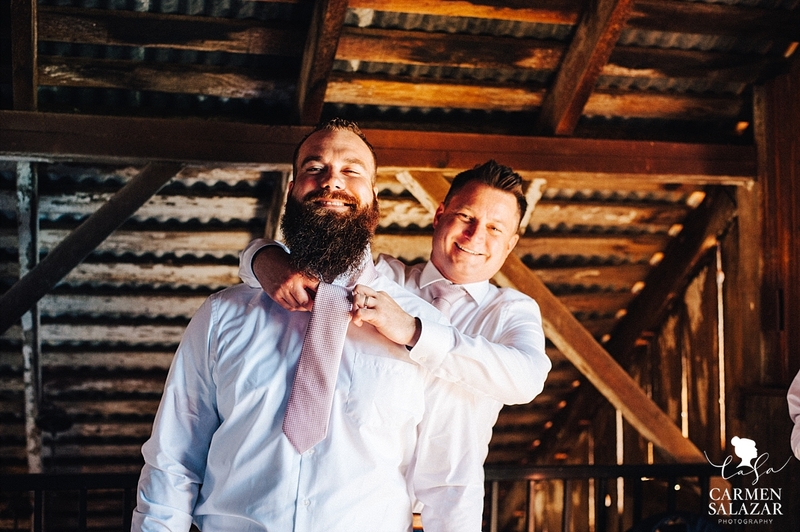 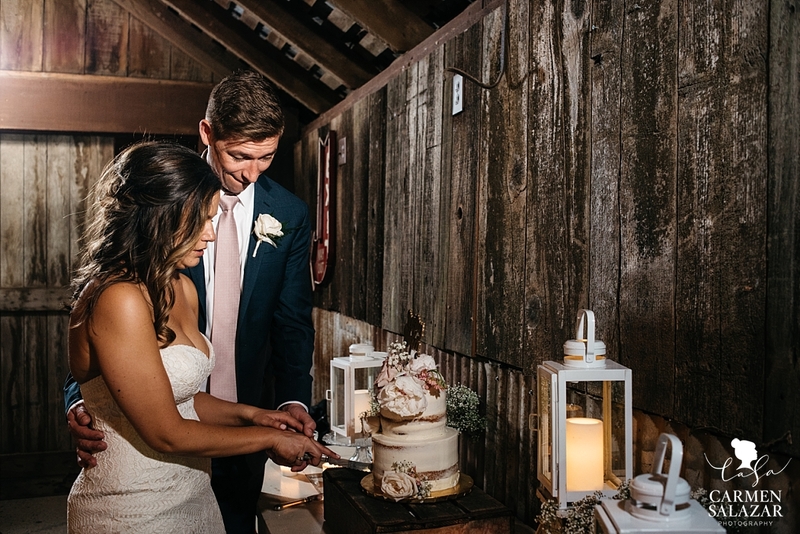 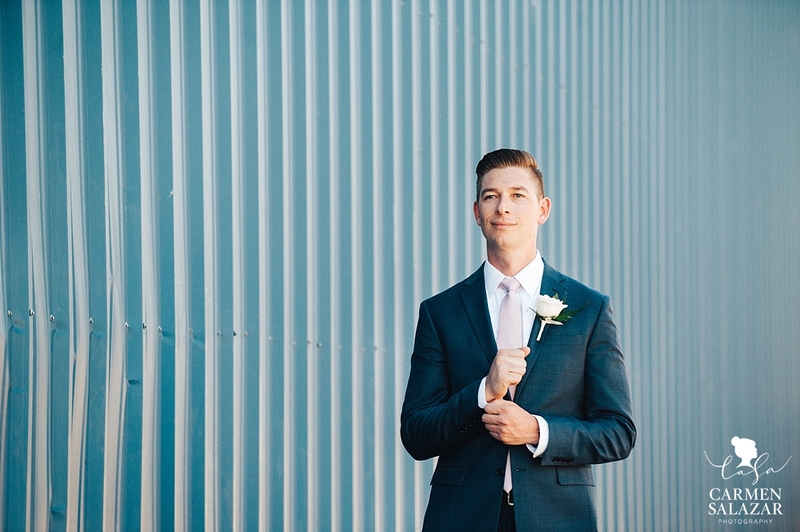 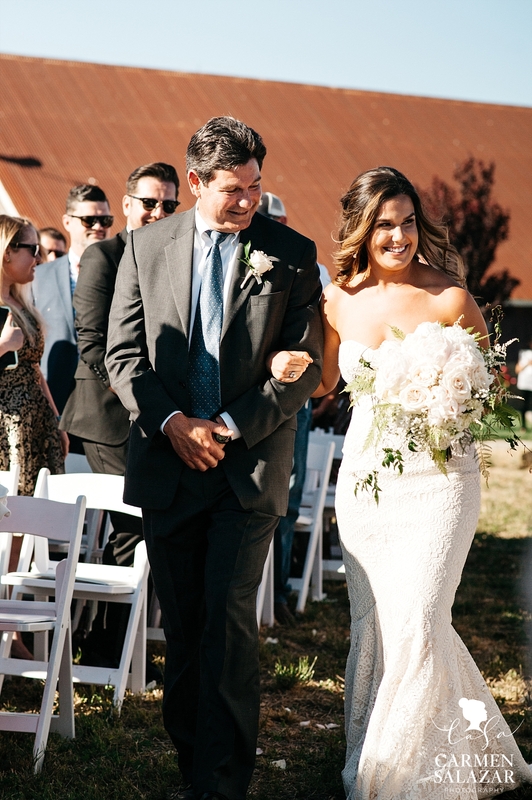 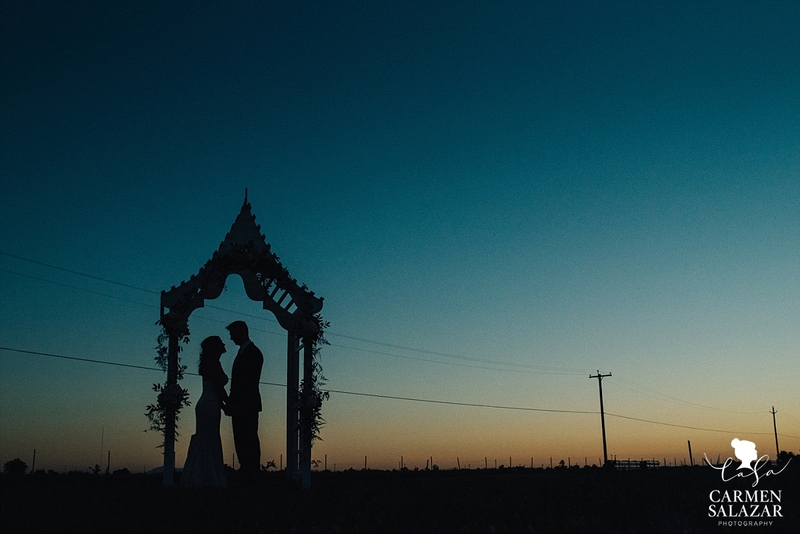 As their first anniversary comes this weekend, we’re so excited to share Christine and Matt’s rustic barnyard wedding! 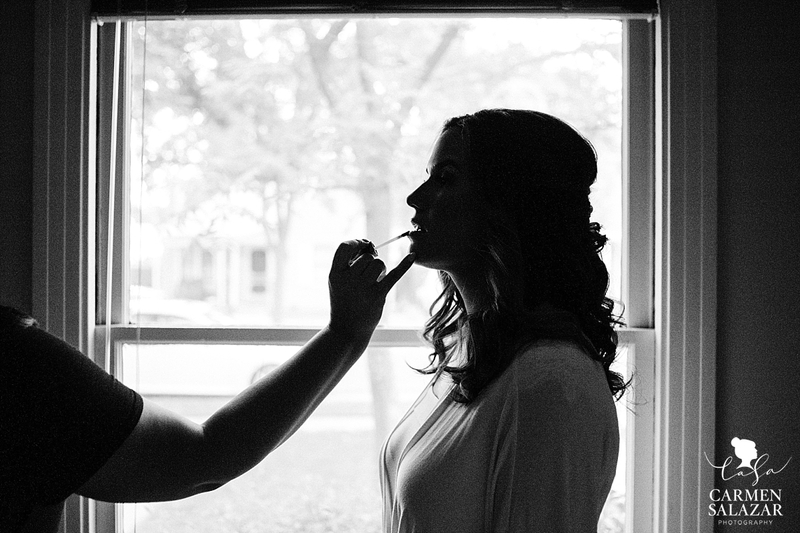 If you haven’t seen our lovebirds’ Elmhurst Engagement Session — take a peek HERE. 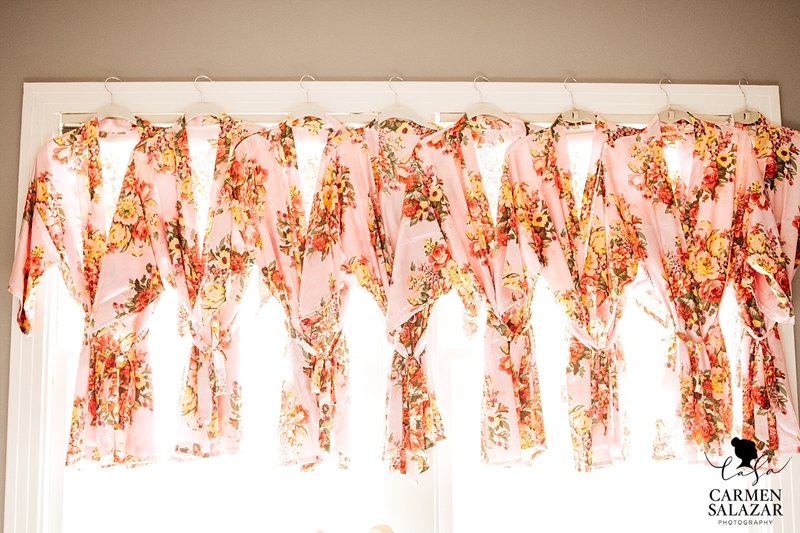 We love love love matching bridesmaid’s robes. 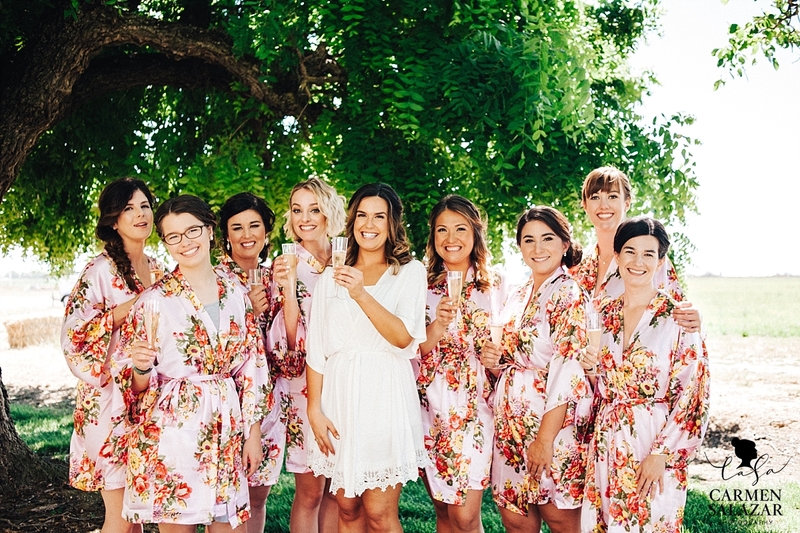 What a fun touch and perfect for group photos! 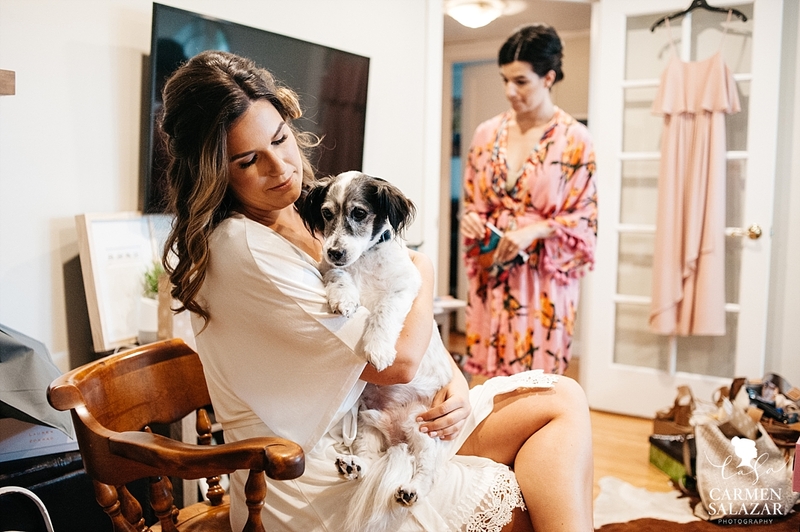 Christine and Matt’s pup Willie is one of the most important parts of their lives. 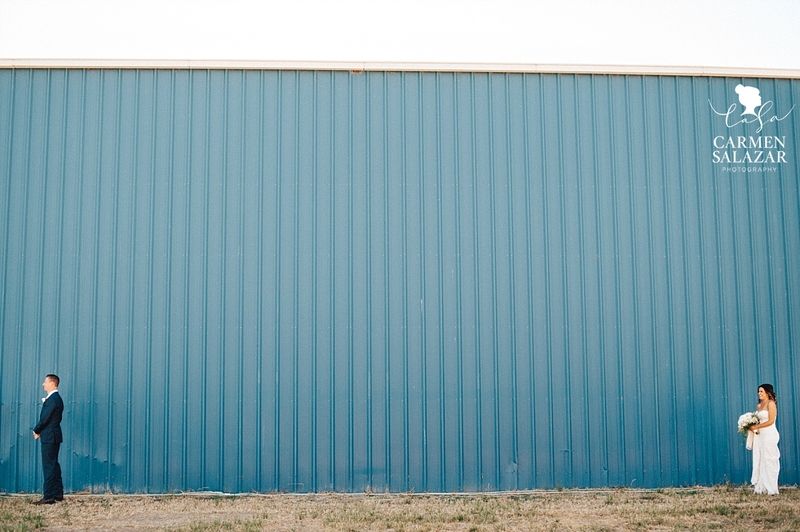 This fur baby is so cute that he’s featured on the walls of our photography studio! 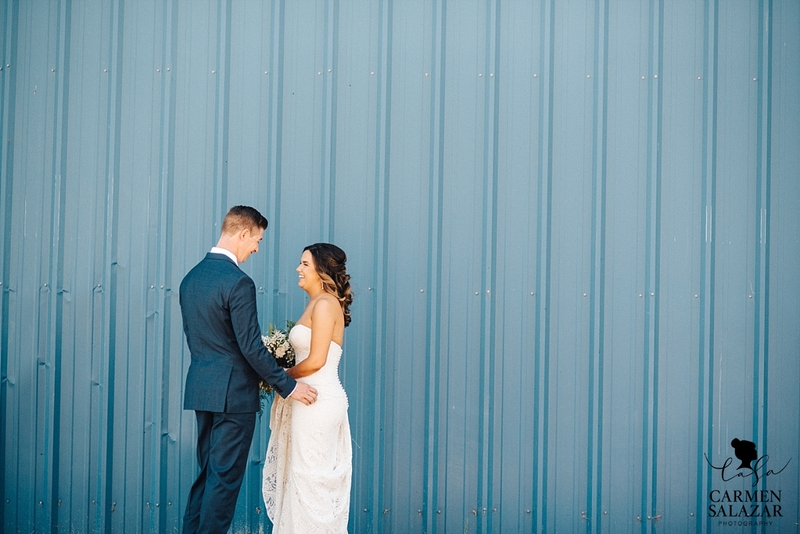 Matt made the first move on his soon to be bride. 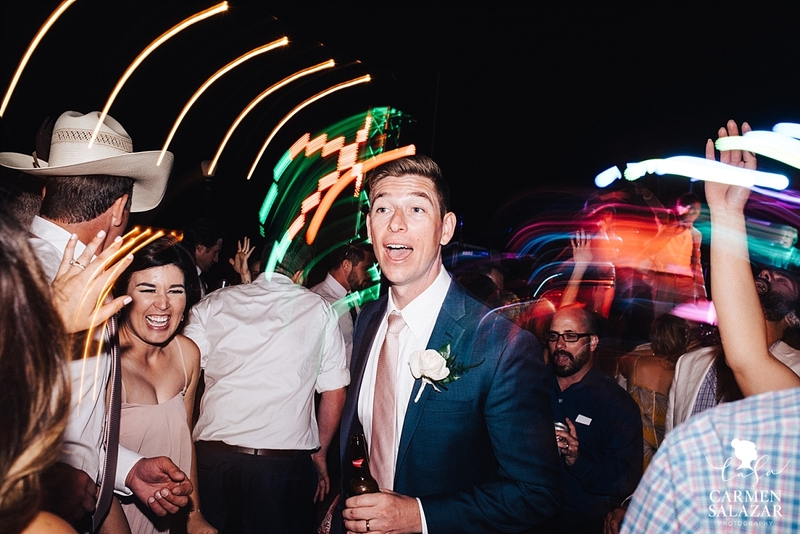 After running into each other twice at Zebra Club, his group followed Christine’s to the Merc — where he finally got her number! 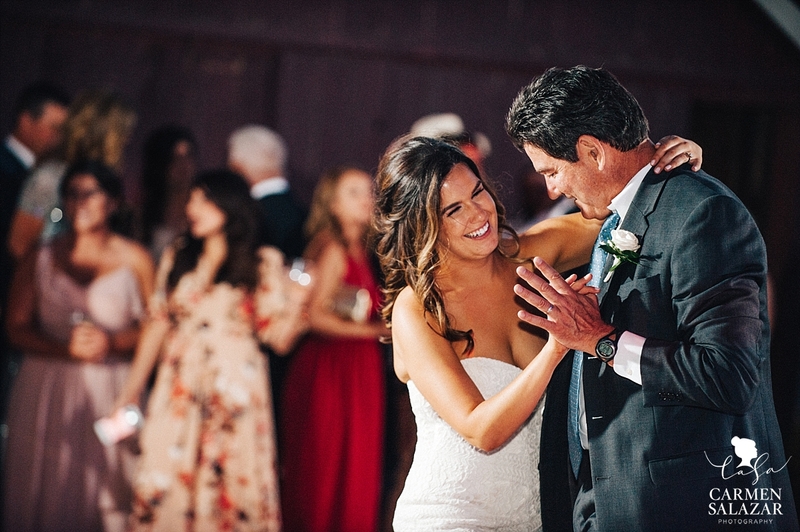 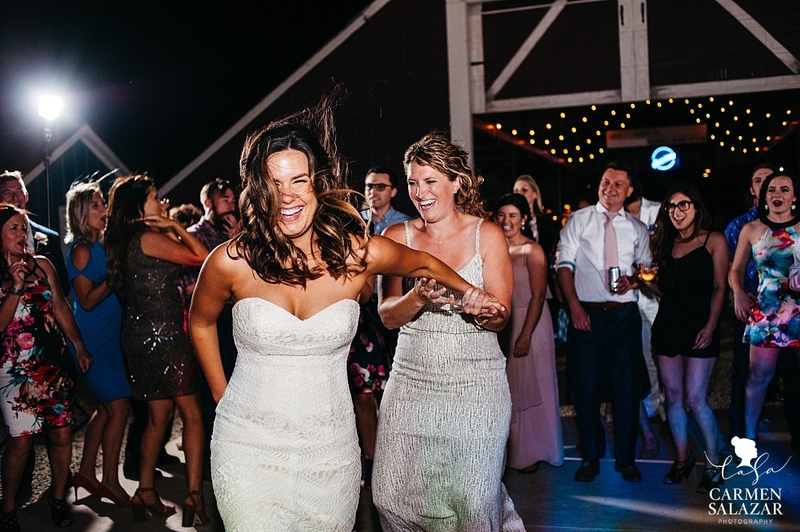 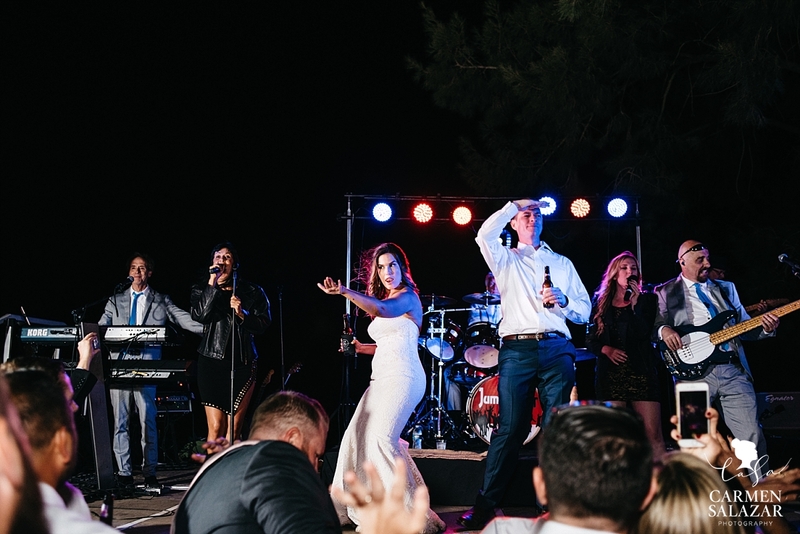 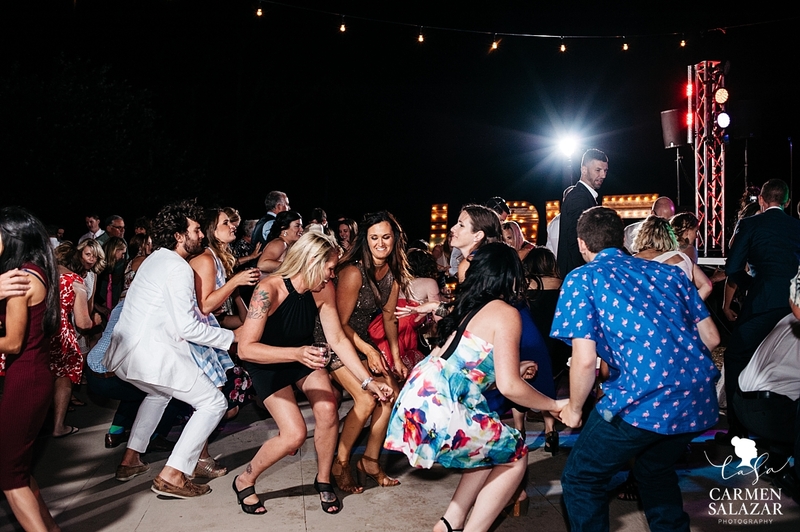 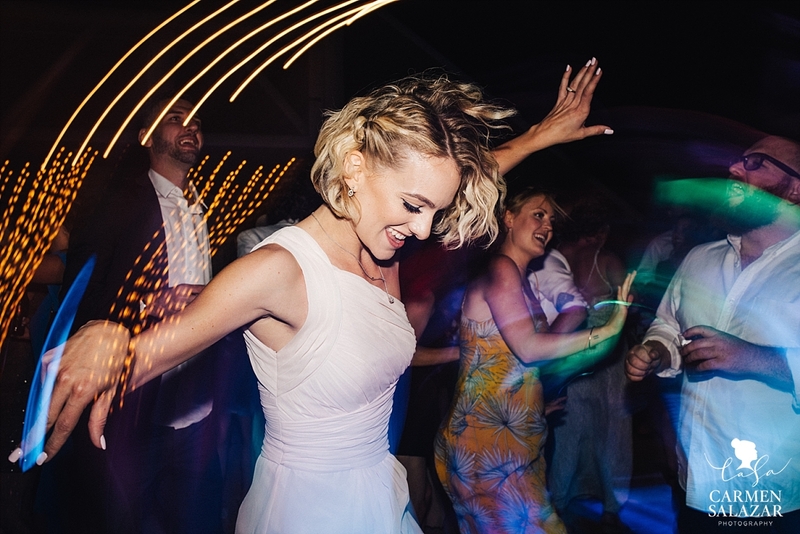 Our bride’s wedding goal was for their friends and family “from all walks of life” to have a blast celebrating together. 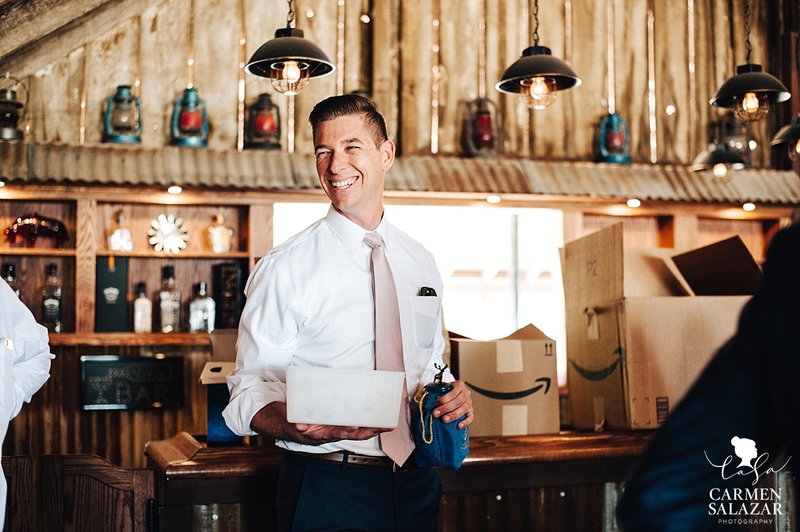 Their first meeting at Zebra Club was actually through a mutual friend and former boss of Matt’s. 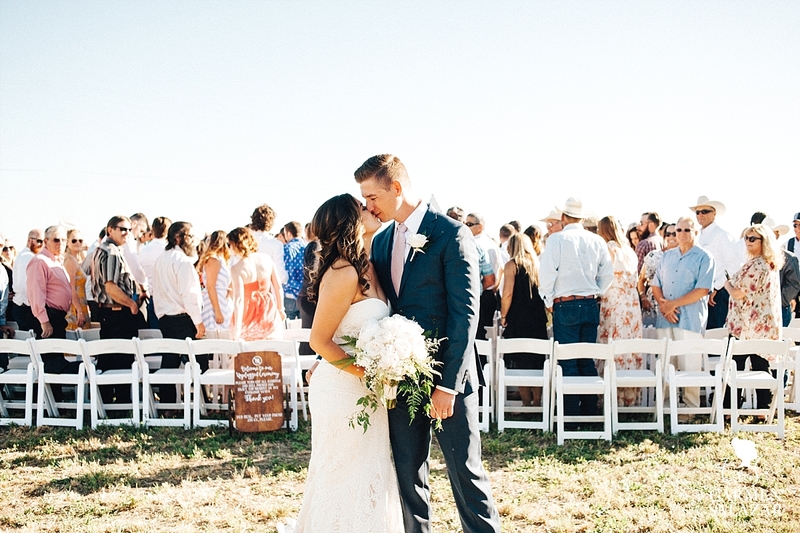 Christine’s bohemian lace wedding dress embodied their theme of “a little bit city, a little bit country”. 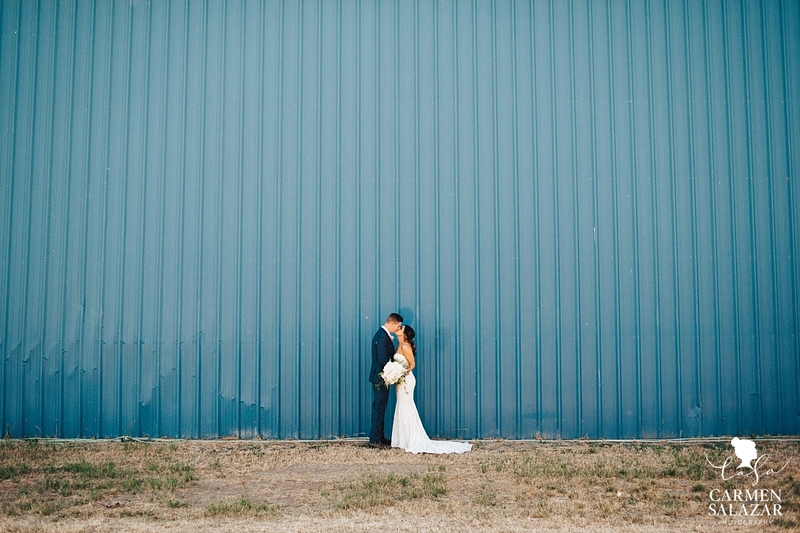 Before the portraits began, Christine was very specific that we had to do their first look in front of the bright blue barn. 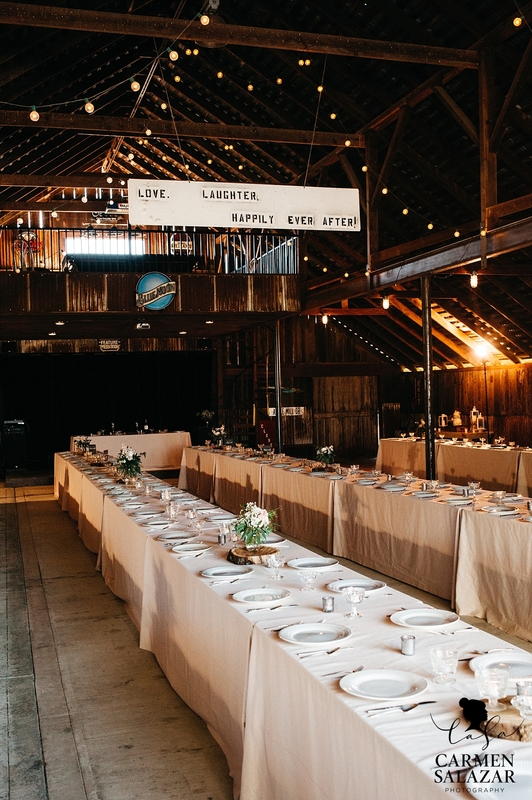 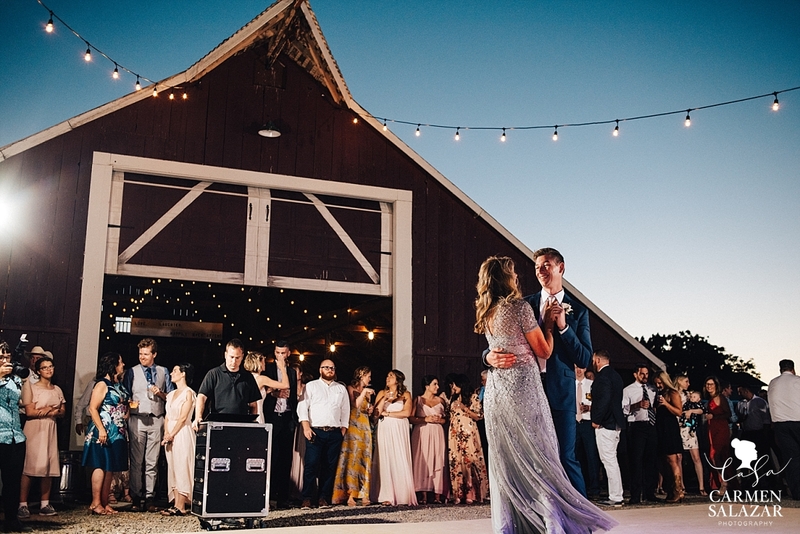 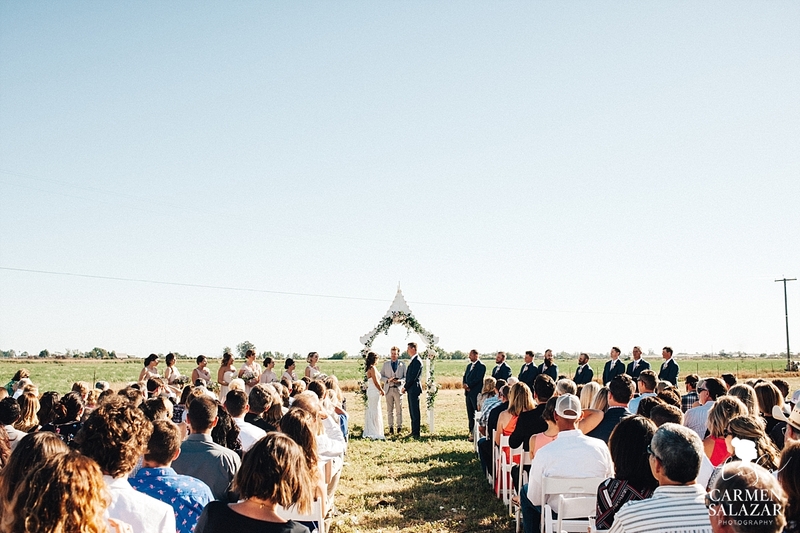 I love the juxtaposition of the modern, metal barn against the rustic, wood barn location of their reception. 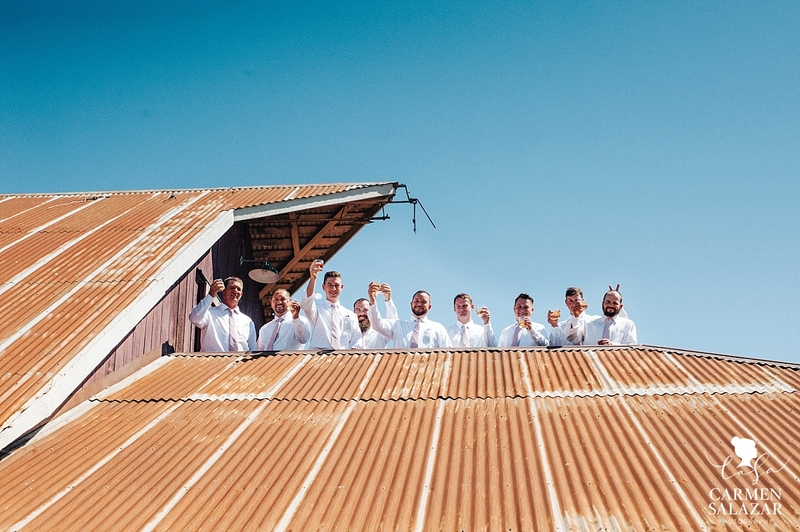 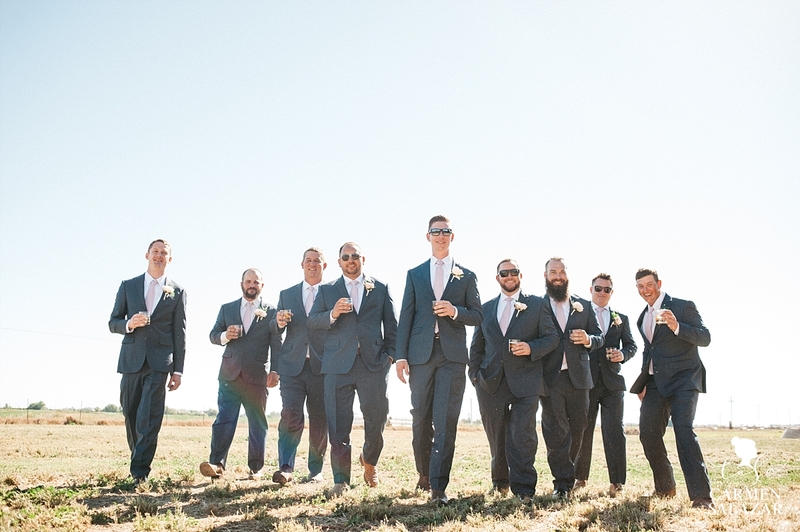 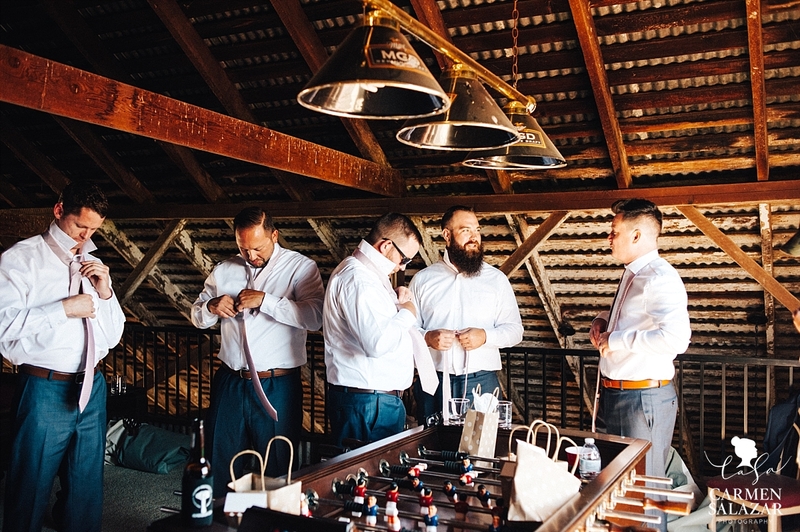 Matt and his groomsmen might have been emulating the country version of Entourage here! 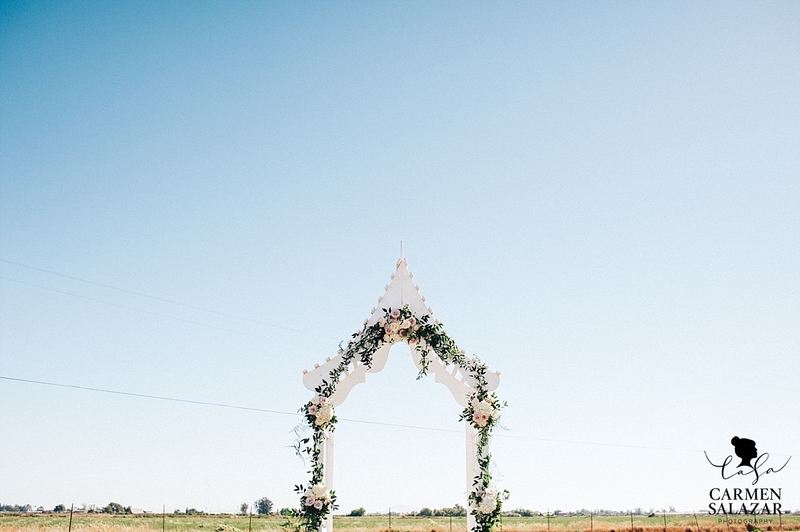 This beautiful Thai arch is actually a family heirloom! 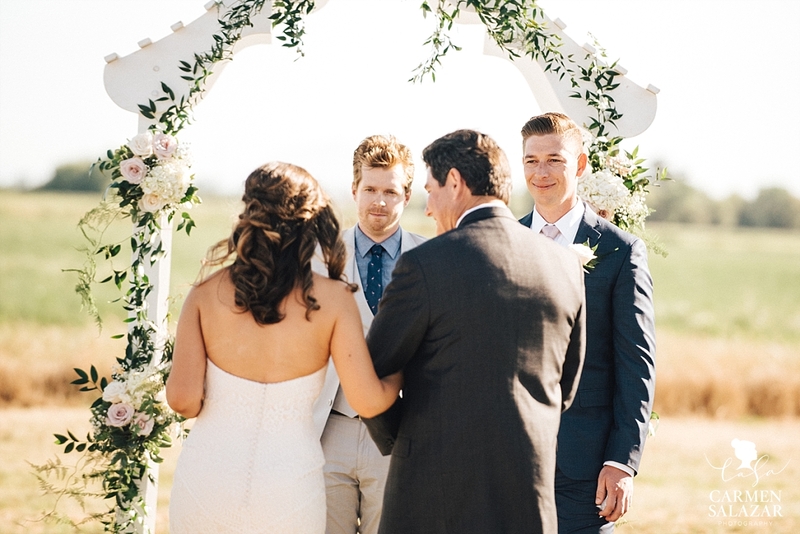 Matt’s grandfather built this vintage arch for his own wedding, decades ago. 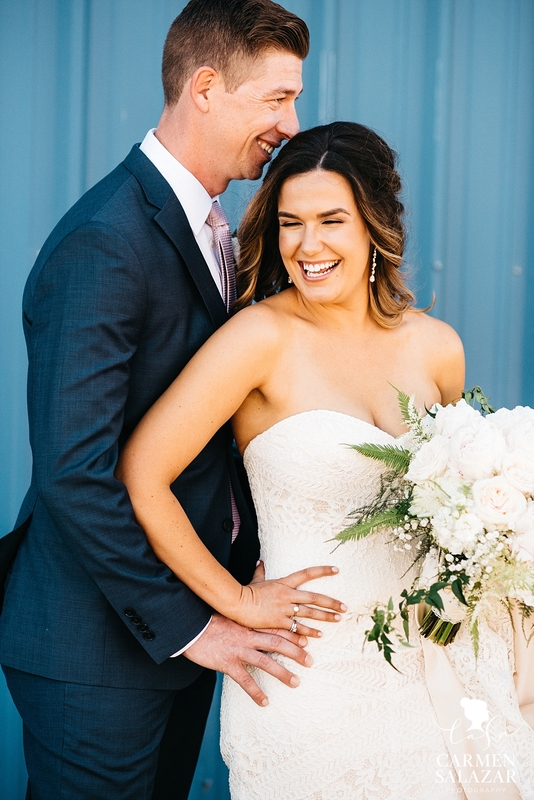 Matt’s breath was taken away by his beautiful bride! 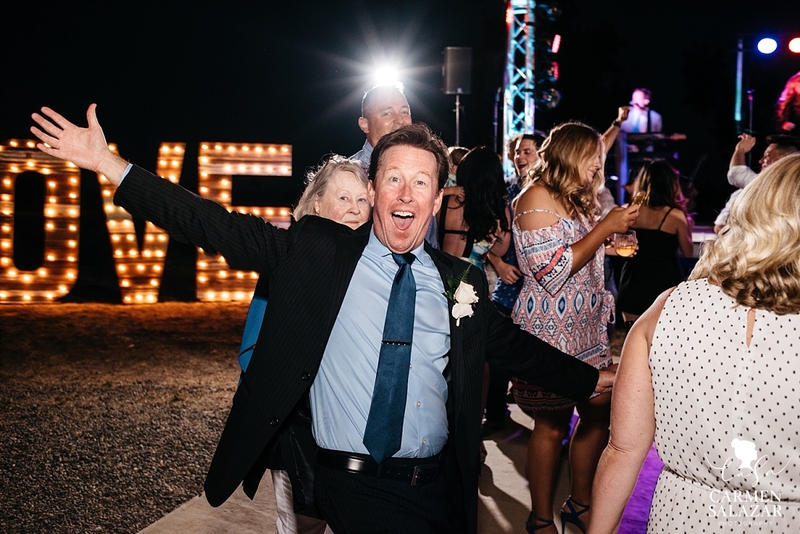 Christine is very proud of her blended family. 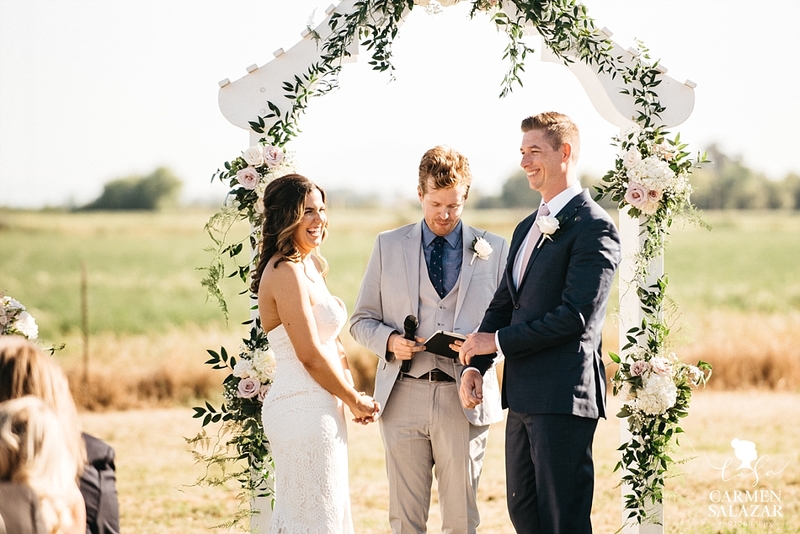 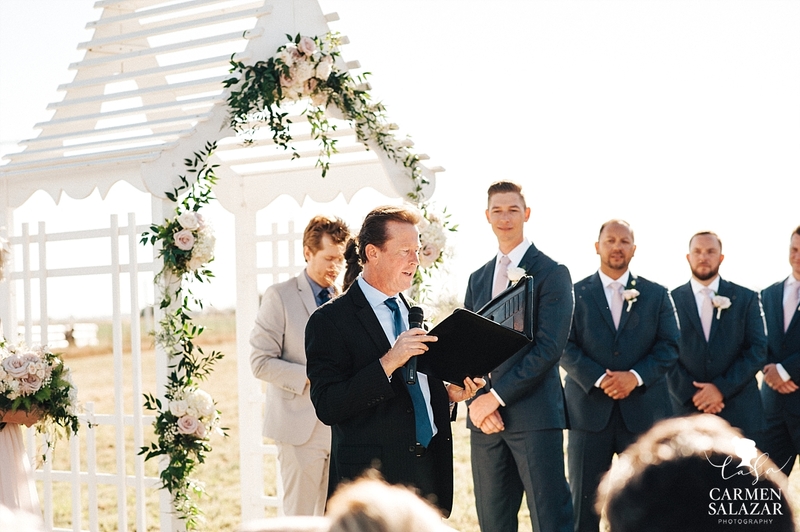 With her stepbrother officiating, and a beautiful reading from her stepdad the ceremony was full of familial love. 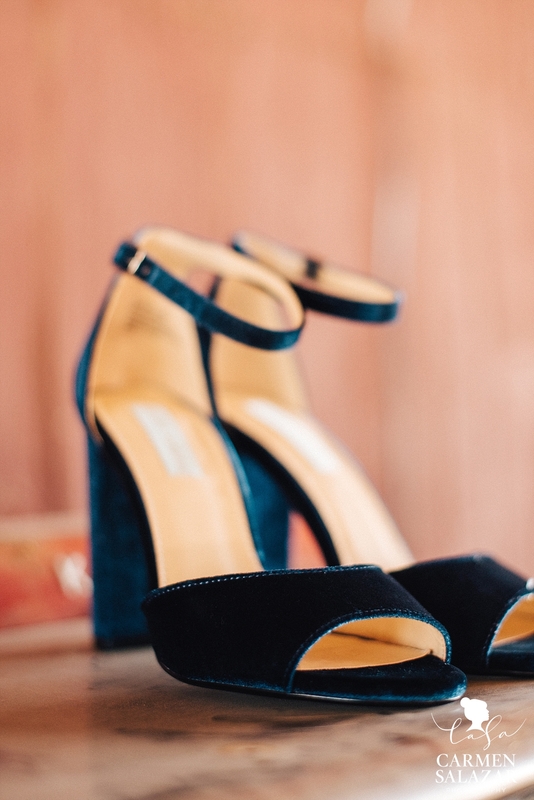 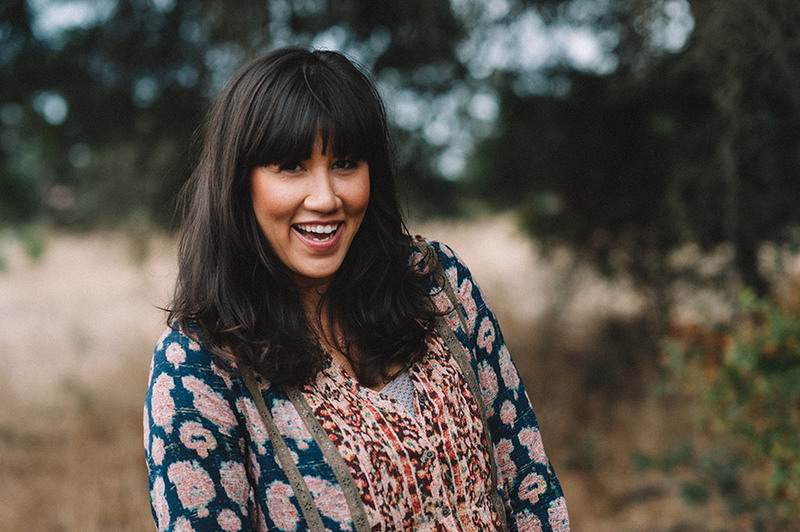 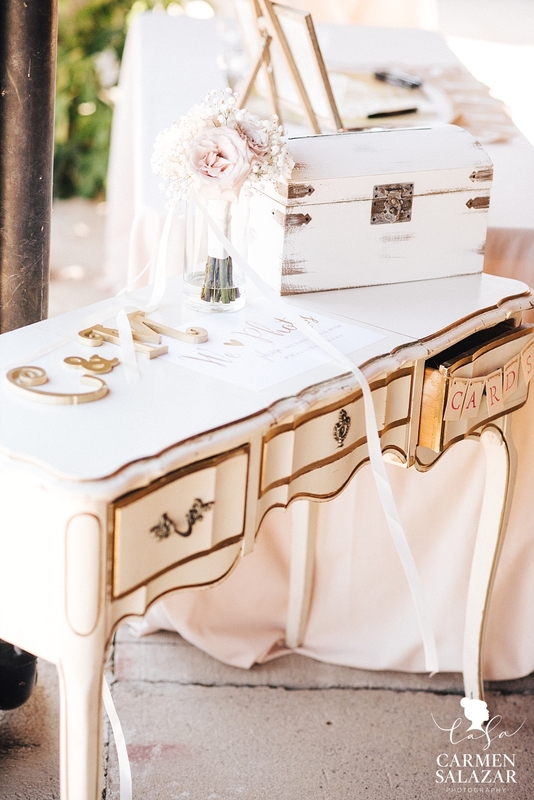 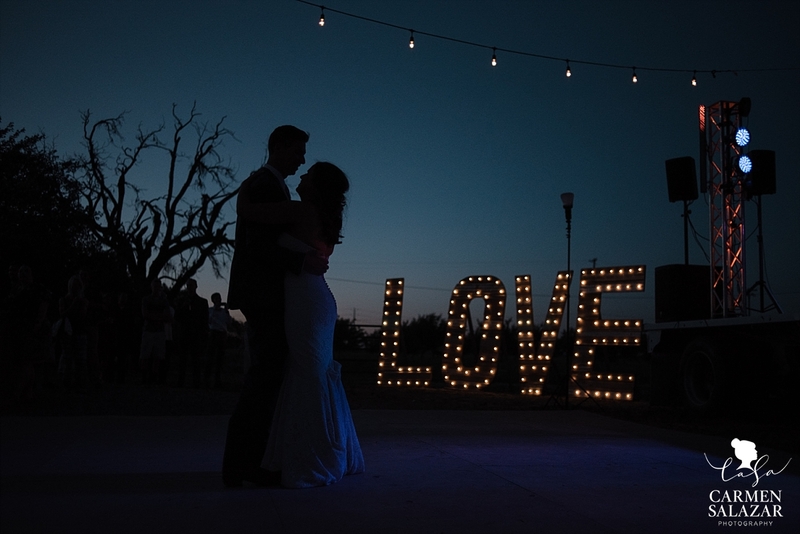 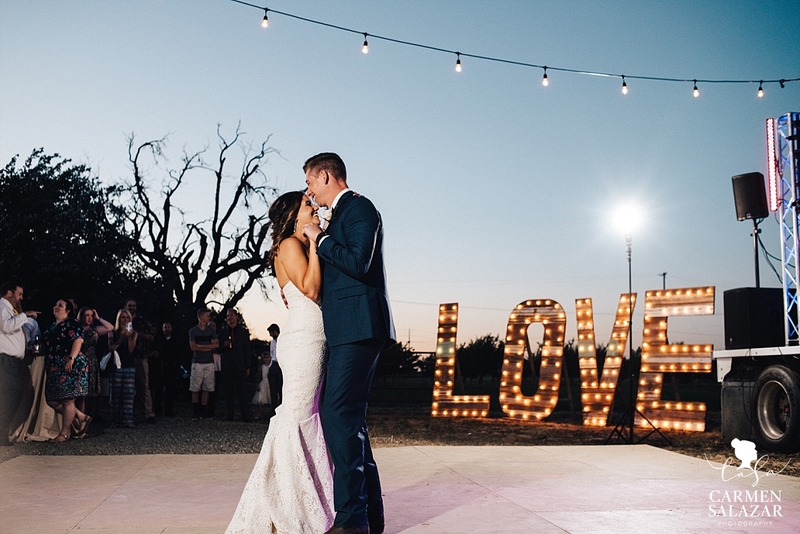 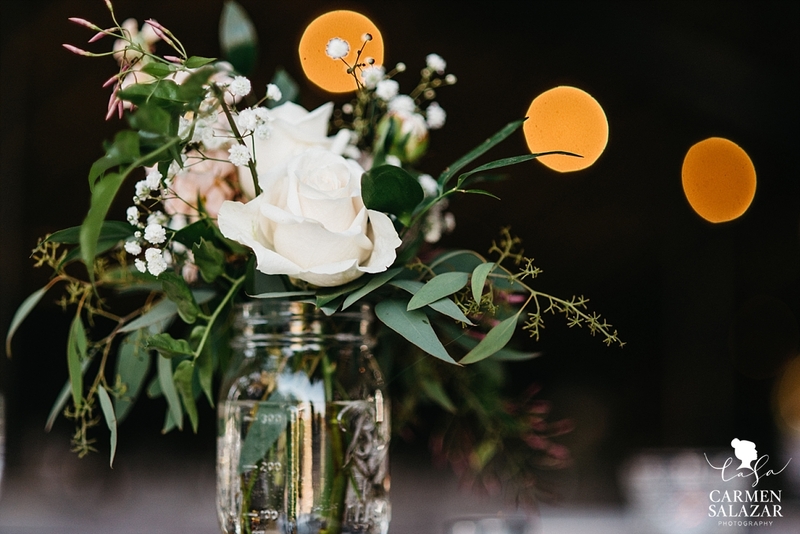 Events By Rebecca absolutely nailed Christine and Matt’s rustic, eclectic wedding vision! 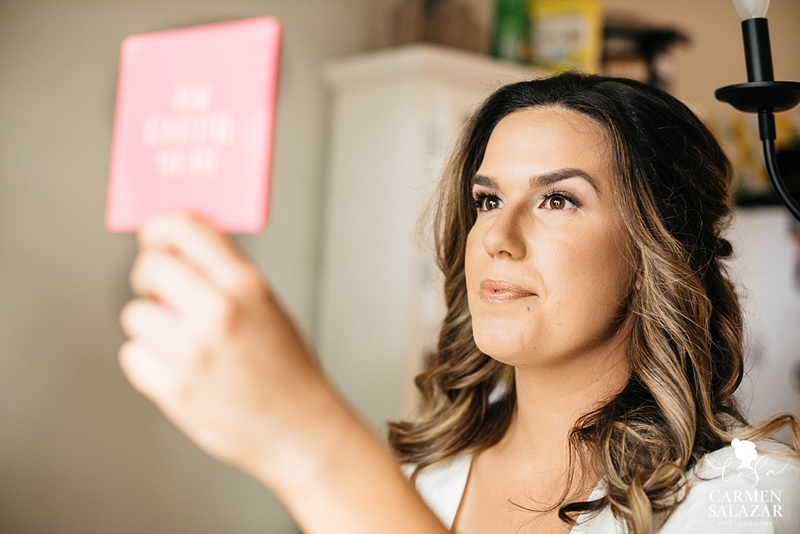 Check out the post on her blog for even more details. 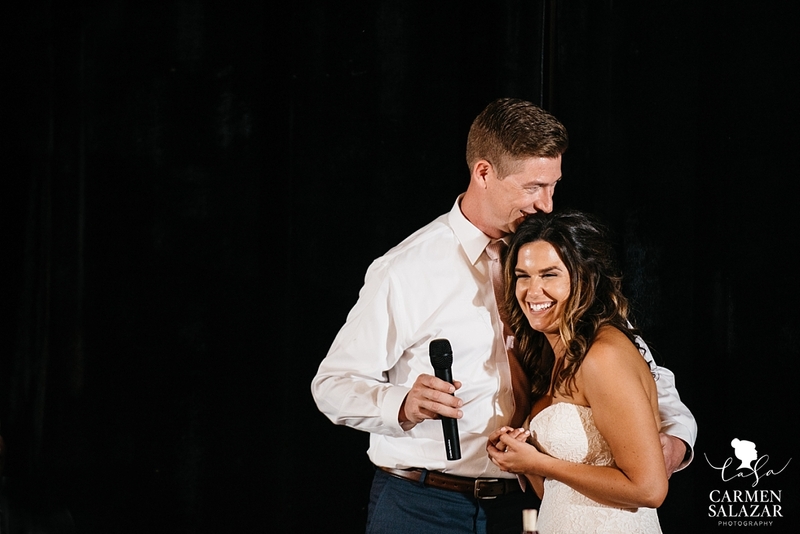 Our bride and groom’s sweet and gracious personalities shone in their welcome speech. 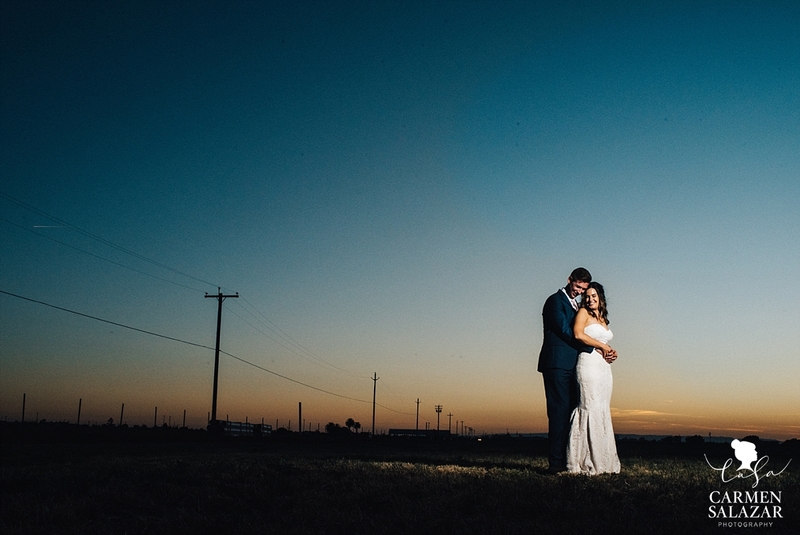 After dinner, they were ready for a stunning sunset and dapper dancing! 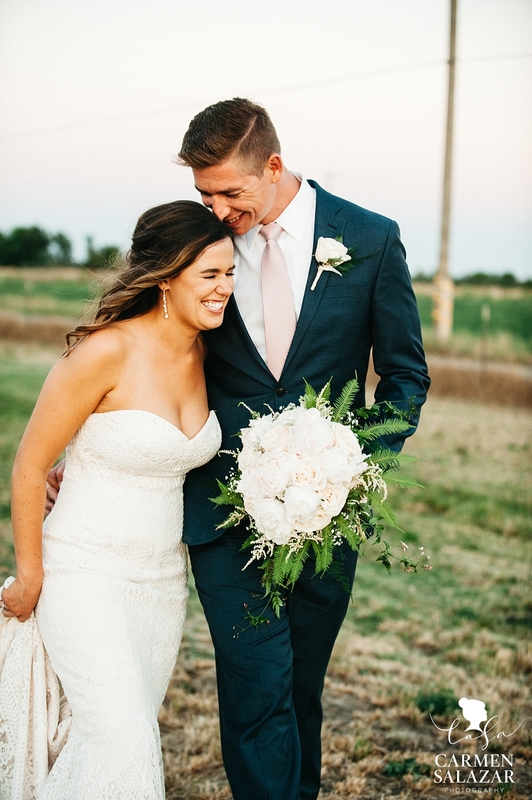 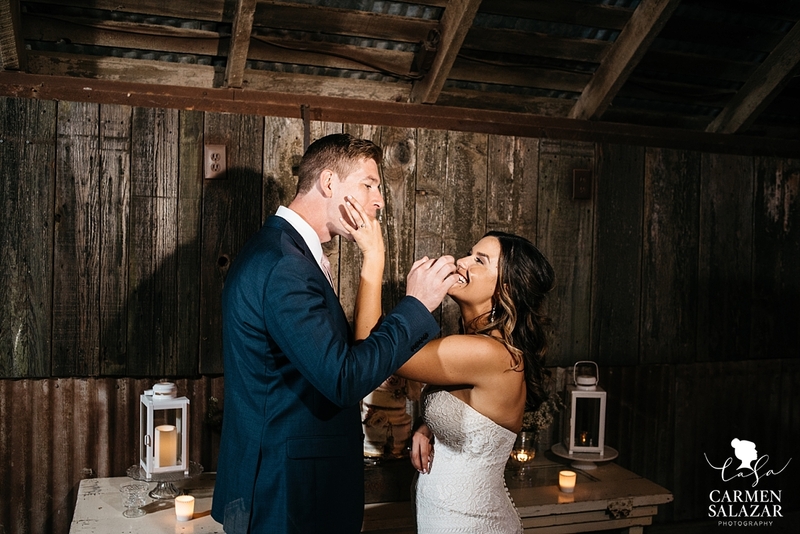 We’re obsessed with the pure love on our newlyweds’ faces. 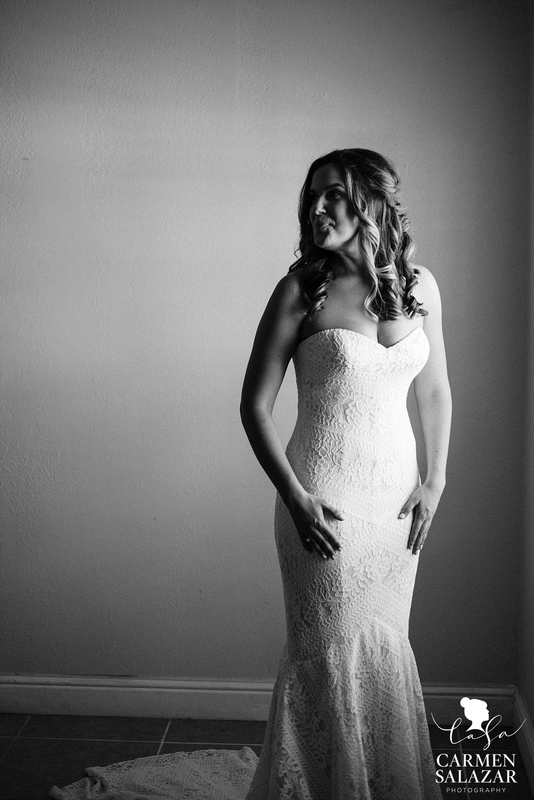 Simply glowing! 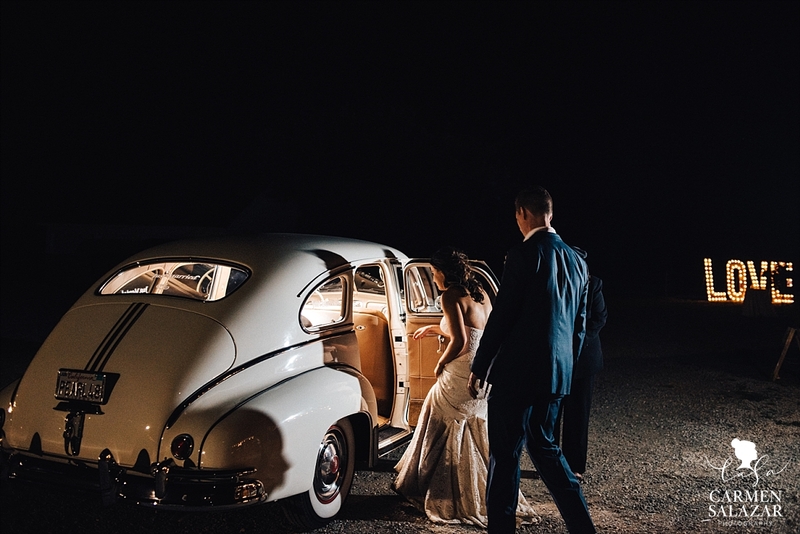 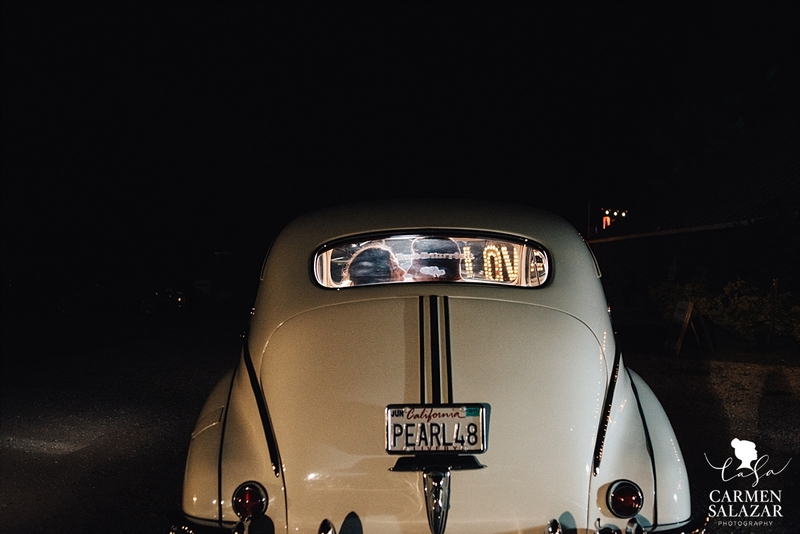 …followed by a romantic, vintage getaway car exit! 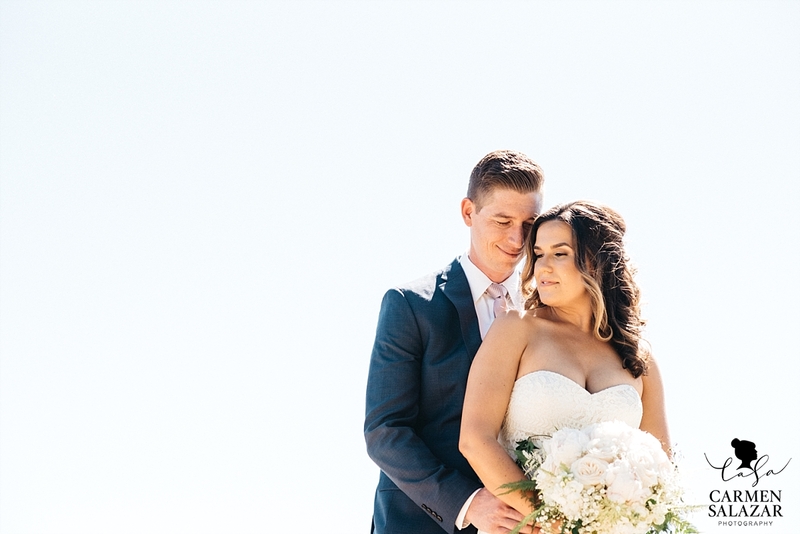 Happy anniversary Christine + Matt! 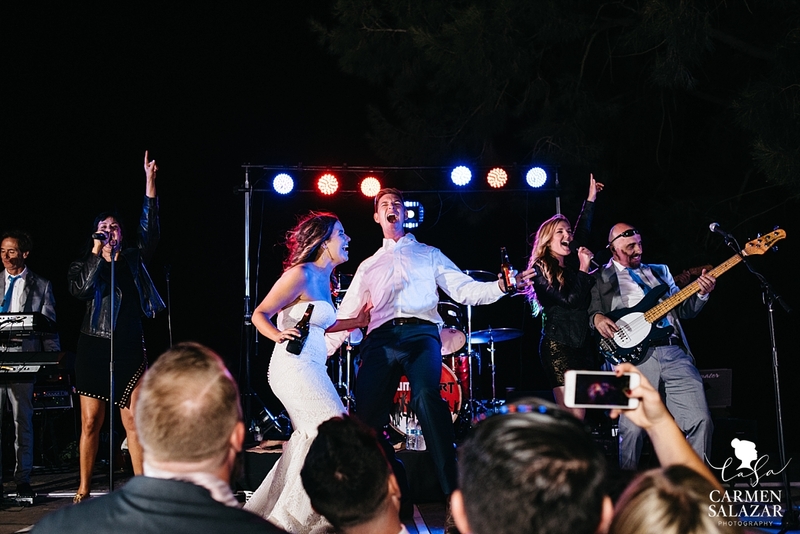 We won’t stop believin’ in the power of true love!